Follow the Yellow Brick Road! 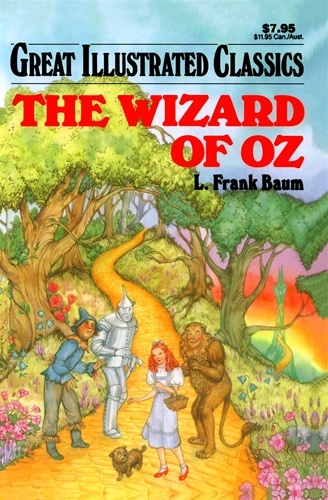 Dorothy, a farm girl from Kansas, is whisked away by a cyclone to a mysterious and magical land called Oz. There she makes unforgettable friends: a talking scarecrow, a man made out of tin, and a cowardly lion afraid of his own shadow. Dorothy and her new friends follow the yellow brick road to the Emerald City where they hope to have the famous wizard grant their wishes. But their path is thwarted by a wicked witch! Can Dorothy and her friends reach Oz and have their wishes granted....?